Dr Sophia Yin’s Ultimate Legacy? My heart is broken with the news of the unfortunate passing of Dr Sophia Yin. I had not yet had the chance to meet her but the impact she had on the profession as a whole and the lives of countless animals is not measurable. I can say, the world is a better place because she was in it and our animal friends will be forever positively impacted by her educational efforts. Having said that, there are early reports that Dr Yin’s death was at her own hands. This breaks my heart further. As a profession, veterinarians are reported through the US and the UK as having one of the highest suicide rates. In human medicine; addiction, depression, burn out and suicide are talked about often and there are programs in place to support these struggling individuals. For some reason, these subjects are taboo in vet medicine. Occasionally, we will see an article in a journal but by and large, there are few to no workshops or lectures at national conferences. Not every state has a published program for veterinarians that find themselves in the destructive spiral of depression. To those states that have not done so, shame on you. If Dr Yin found herself in that Hell of depression and she could find no support in the field of professionals that adored and respected her so, then it is indeed an even sadder day. 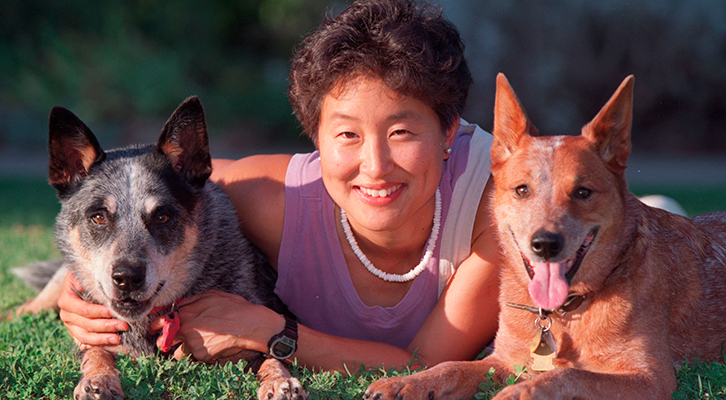 Dr Yin’s expected legacy was her efforts towards how we humans handle and communicate with our animal friends. There is no doubt she impacted us all with her vision. But, if the newest information has a sliver of truth contained within, maybe this was avoidable had we paid attention to the countless others. Maybe her struggle and notoriety will finally shine a light that will save hundreds of lives of the colleagues she so eagerly served. I pray that years from now, Dr Yin will have helped the profession more than she ever dreamed. My prayers go out to her family and friends as they experience her loss and navigate the future.